Iconic wildlife is coming back to the heart of the Carpathian Mountains. 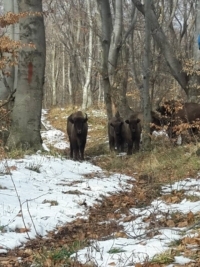 Bison have disappeared from the wild in Romania 200 years ago, but WWF, Rewilding Europe and the Bison Hillock Association (AMZA) and Armenis City Hall are working together to bring them back in the Țarcu Mountains. 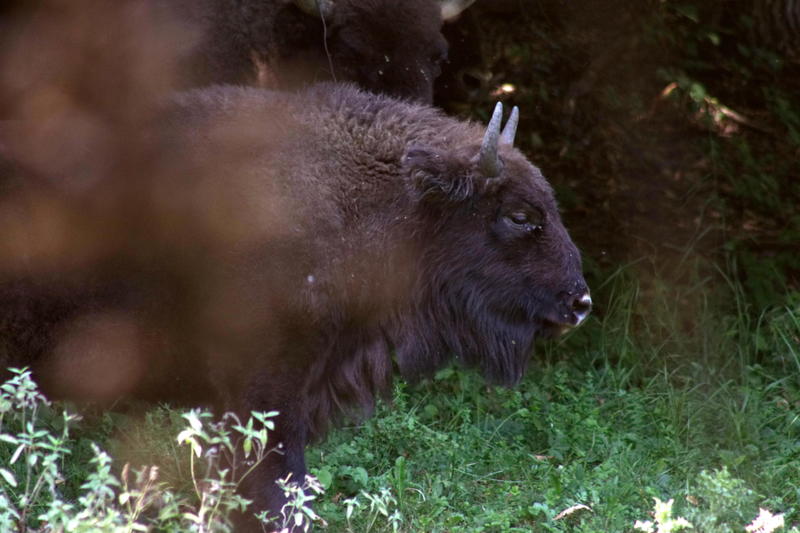 The European bison is an umbrella species, a missing link in the trophic chain, with a real impact on maintaining ecological processes that are specific to wilderness areas. Visit the Bison Hillock to find out more about these animals that used to roam freely in forests across Europe in herds of thousands. We recommend that you experience nature conservation at its grass roots, by booking a guided tour to the Bison Hillock. Why are European bison important? How should I act if I encounter free roaming bison? Here is some useful insight for our guests. Is the bison part of Romania's history? The European bison, Europe’s largest land mammal once inhabited all the continent. It is also an emblem for the history of Romania and well deserved place on the coat of arms of the region of Moldova. Today we find it on the coat of arms of Maramureş County, reminding us of the legend of the dismantling, when Dragoş and Bogdan I from Maramureş became independent from the feudal state of Moldova. In literature, the poet Vasile Alecsandri told the story of the bison in poems such as “Dumbrava Roşie”, “Dan captain of the plains” and fables such as “The bison and the fox”. 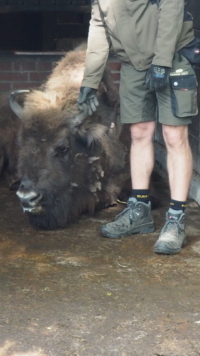 How do you recognise a European bison? European bison and American bison had a common ancestor, and due to the last glaciation, the geography and climate conditions of each continent they evolved quite differently. The European bison is Europe’s largest herbivore and land mammal, has a massive body reaching up to 2.2m in height and 1000kg. It has a very developed chest and a large head with its crowned brow seeming to merge with the body. It has dark brown fur and both sexes have short and arched horns and makes grunting sounds. The American bison is smaller than the European relative, with shorter legs; so are the horns that are even less bent. These features are a sign of adaptation to the environment in which they live, the American bison spending more time on grass and less time browsing shrubs and tree bark in the forest. What’s their diet and preffered habitat like? The European bison prefer a diverse habitat, from mountain pastures to mixed forests. Excessive hunting, but also the rapid deforestation across Europe’s mountains led to the disappearance of bison in the wild. They browse tree bark in addtion to grazing mountain pastures. Fruit and leaves of softer wood trees such as willow, birch, hazel and a multitude of shrubs are also part of their diet. In the summer months, an adult male can consume up to 32 kg of food in one day. The acorn, the hazel and beech nuts a great source of energy for the bison, especially in winter. Is the bison a social animal? Bison are extremely social animals. The herd formed of young bison and females is led by a female. During the warm season, usually only one adult male remains with the group. The other adult males roam alone or in pairs constantly searching for opportunity to challenge the dominant male in search for a pair. The bison feed and sleep together. If any bison separates from the heard or wanders, the larger groups tends to follow the routes of the wonderers. They are very protective and with the little ones – the youngest are kept in the middle of the herd creating a barrier from potential predators. What's the bison's role in the ecosystem? The largest terrestrial animal in Europe has a very important role in the. They keep forest “open” and help maintain a mosaic habitat, eating tree shoots or young trees. As a result other species like deer or even smaller mammals which would not venture into a dense forest find new playground. They also have a key role in seed dispersal and fertilize the with the dung that leaves it behind – significant role to maintain the flora diversity in the wild pastures they roam. The bison are faster than other large herbivores, such as cow. Still the weaker bison or the young ones might become prey for carnivores such as the woolf. If bison die from natural selection, the carcass is an essential source of nutrients for scavengers such as bears, foxes or raptors. The strongest and most agile bison spread those genes to the new generation and this is what rewilding is all about. Rewilding is the reintroduction of a missing species in the ecosystem it belongs to. 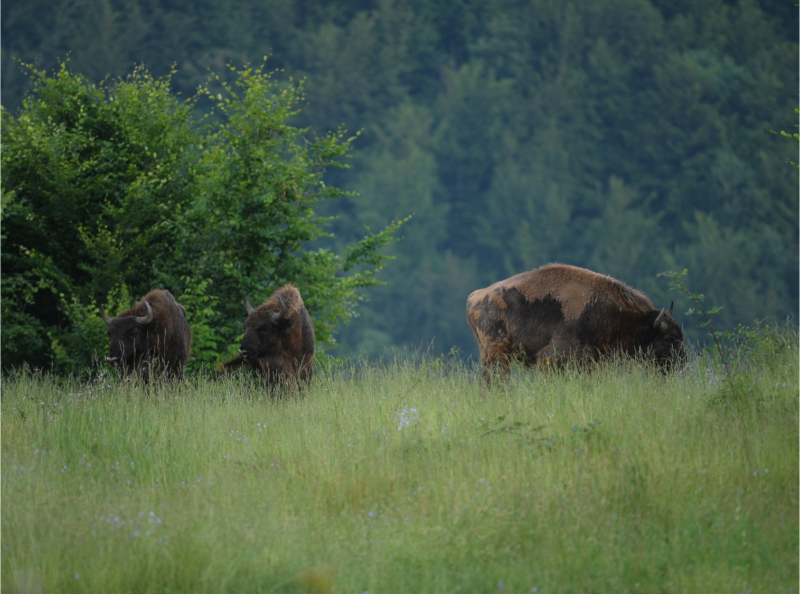 The WWF, Rewilding Europe and partners have brought back the bison to the Southern Carpathians, one of Europe’s largest wilderness strongoholds. 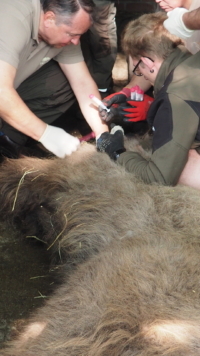 The bison here come from breeding centers in Belgium, Sweden, Germany, Italy, Switzerland, France but also Romania. The bison’s return to this area is a great opportunity to raise awareness about the value of these natural and fairly wild areas, create economic opportunities to value nature in a sustainable way and protect these areas for future generations. There are only about 5000 free-roaming bison around the world. Bison rewilding is a bold initiative, but one with great long term benefits for perople and nature. We invite you to visit the Bison Hillock with friends and family and experience nature conservation at its grassroots. 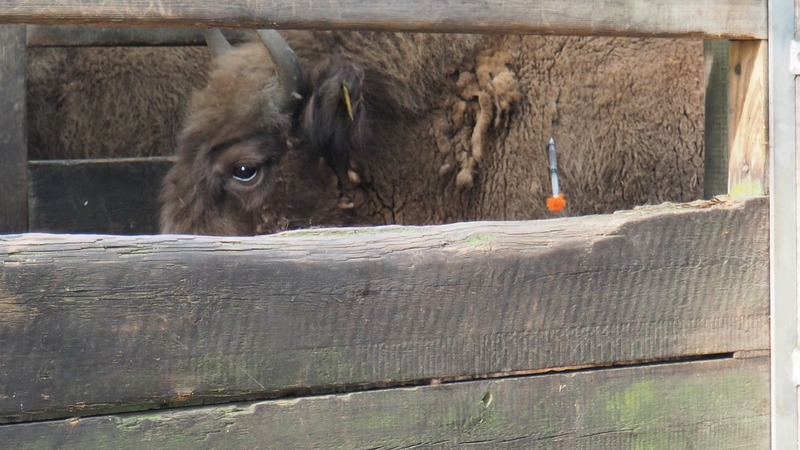 Find out more about bison rewilding on the official website of the Life Bison EU project.